In addition to improving safety, egress window wells improve the natural light and ventilation in finished basements that might otherwise feel claustrophobic. When you finish your basement, do you really want to settle for your old basement windows? Replacing your single-paned or double paned steel and wooden basement windows with our EverLast™ Basement Windows can add light and beauty to your living space. Natural light does wonders to make your finished basement feel more pleasant, inviting, and cheerful. An easy-sliding screen allows you to open your windows to let in fresh air and peaceful outside noise without having to worry about insects, animals or debris from outside entering into your remodeled basement. Additionally, EverLast™ Basement Windows are made out of crystal-clear glass and a white finish that gives your basement windows a bright, comfortable look! Total Basement Finishing is proud to offer EverLast™ Basement windows as a part of our line of basement finishing products! To see what these windows have to offer, schedule a free estimate with your local TBF dealer! EverLast™ Basement Windows are made out of crystal-clear double thermopane glass and an all-vinyl frame. Unlike metal or wooden framed windows, they will never rot, support mold growth, or rust apart. Their bright, white finish stays beautiful for years and never needs to be painted or refinished. They slide open and close easily, never rusting shut or having their wooden frame expand or shrink with moisture or temperature changes. Are your basement windows high up when you're in your finished basement and right at ground level when you're outside? When normal steel and wooden windows become dirty, they're hard to get to, and cleaning them can be a difficult and discouraging chore. EverLast™ Basement Windows can be removed from their frame easily, allowing you to clean them comfortably in the sink. Additionally, because the window can be completely removed, your finished basement gains an extra access point that you can use to bring long, awkwardly shaped items into your finished basement! In combination with the SunHouse™ Basement Window Well, you can even have bright, natural light! Wooden basement windows easily absorb moisture and can all too easily become an invitation for termites and other insects to make their way into your home. Rusty steel basement windows are difficult to open, leaky, ugly, drafty, and in need of replacement in as little as five years. Total Basement Finishing offers a basement window for your remodeled basement that is beautiful, convenient and made to last! 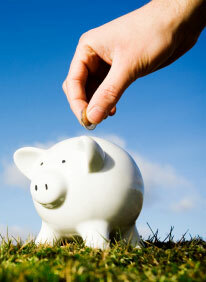 According to the U.S. Department of Energy, energy bills can be cut by 10-25% by upgrading windows in cold climates. If you think about how your basement is built (completely surrounded by thick walls on all sides, except where your basement windows are), this makes a lot of sense. Where insulation is concerned, your basement windows are the weakest link. Don't finish and insulate your basement walls and floors just to let heat (and money) go out the windows! Insulation is rated by the R-factor—the higher the R value of a material, the greater its insulation value. Steel-framed windows make for terrible insulation- conducting heat easily from your home to the outside. Normal new single-paned basement windows have an R insulation value of 1 when brand new, while double-paned basement windows have an R value of 2, When they rust, rot, and become drafty, they lose insulative value. The crystal-clear double thermopane glass and warm-edge insulated seal of EverLast™ Basement Windows, combined with their insulated Low-E glass, give our windows an R insulation of 2.94- almost three times better than steel single-paned windows! The metallic coating that makes our windows Low-E has been proven to allow heating rays into the home in the winter and reflect them in the summer, adding extra heat to your basement when you need it! EverLast™ Basement Windows install quickly when you are remodeling your basement—usually taking a single worker about three to four hours to remove the old window, clean the area, and install a new one. Once installed, the light admitted into the basement will make your basement more beautiful and will also reduce the need for electric lighting in your home. 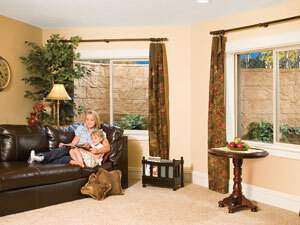 Save money, beautify your home, and make your home more energy efficient with EverLast™ Basement Windows! 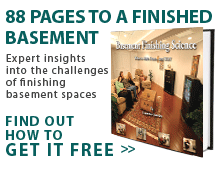 Call or contact us for a FREE basement finishing estimate today!